Lots of riders struggle to get used to clipless pedals for fear they'll fall because they won't be able to get out of them. But there's a secret that makes life much easier and safer for clipless beginners. 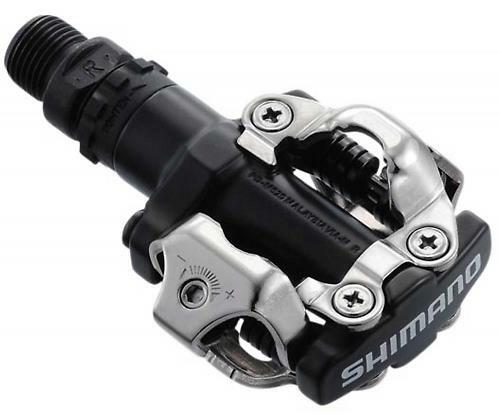 That secret is simple: Shimano multi-release cleats. To help you understand what that means, a bit of background. Clipless pedals have a spring-loaded mechanism that grabs a specially shaped stud, known as a cleat, on the sole of the shoe. You press the cleat down to click it into the mechanism, and twist out to release. Because they hold your feet in the right place on the pedals and keep them there, clipless pedals are more efficient than regular shoes and flat pedals. Shoes for clipless pedals have stiff soles, which also improves efficiency and comfort. There are two types of clipless pedal. Pedals for road racing follow the original concept introduced by Look in 1984. The cleat stands proud of the sole and is attached by three bolts. This allows an uncomplicated, very rigid sole, but is awkward to walk in. The pedals only have a mechanism on one side, so to clip in you have to catch the nose of the pedal just right, which takes a while to learn. In 1990, Shimano introduced its SPD (Shimano Pedalling Dynamics) design. 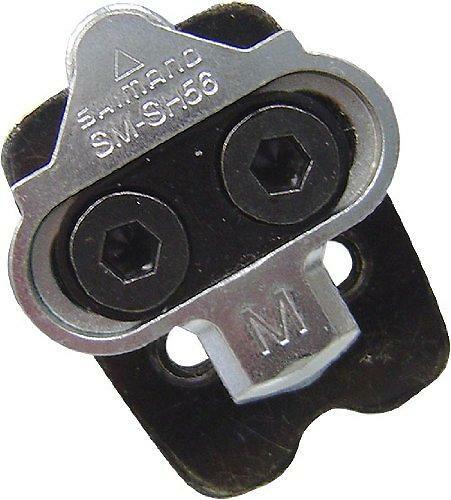 A smaller metal cleat is mounted to the shoe with two bolts, and fits in a recess in the sole. The recessed cleat makes it easier to walk in SPD shoes, and helps guide the cleat into the mechanism, making it easier to clip in. For clipless beginners, SPD pedals are the way to go. Most pedals are double-sided, which makes learning to clip in much easier. 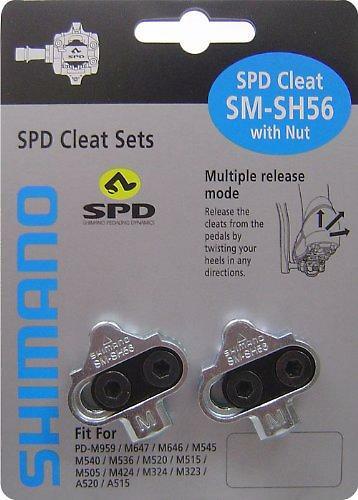 The other advantage of the SPD system is the availability of Shimano's multi-release cleats. Standard SPD cleats only release when the rider twists her foot outwards, but multi-release cleats come out if you pull up hard too. That's a far more natural action for a clipless beginner, who's probably used to flat pedals that you just lift your foot off. Multi-release cleats are easy to recognise, as they're stamped with a large letter M. If you're buying online, look for product code SM-SH56. 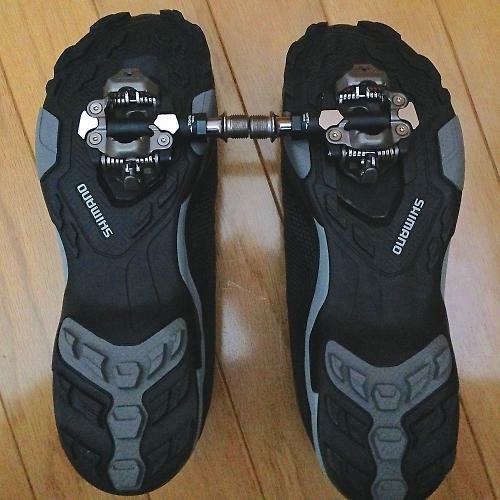 The bad news is that very few models of Shimano pedals come with multi-release cleats, so probably you'll have to buy them in addition to the pedals. The good news is that basic SPD pedals are very cheap but really durable, so buying extra cleats isn't a big financial burden. 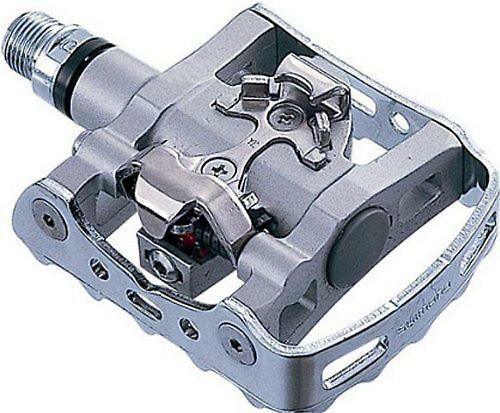 The exception — and a very good choice for SPD beginners — is Shimano's PD-M324 combination pedals. These have a flat platform on one side and an SPD mechanism on the other, and you get multi-release cleats in the box. The alternative is double-sided pedals and separate multi-release cleats. 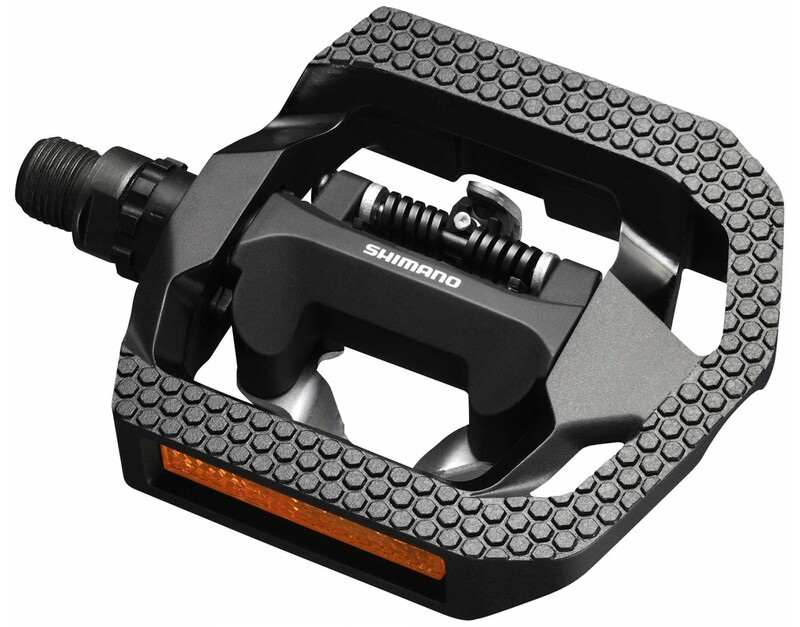 Shimano's cheapest double-sided pedals can be had for less than the cost of a cheap night out. The excellent PD-M520 pedals are supposed to be £37, but can sometimes be found for as little as £20. The only thing they give up to more expensive versions is a bit of weight. Some folks find pedals like the M520s a bit small. The PD-M424 pedals are an excellent alternative. Intended for mountain biking, they have a tough plastic platform around the pedal mechanism that supports more of the shoe. This works really well with shoes that have more flexible soles and are therefore easier to walk in. The RRP of PD-M424 pedals is £45, but you can find them for half that. With either PD-M424 or PD-M520 you'll need multi-release cleats. 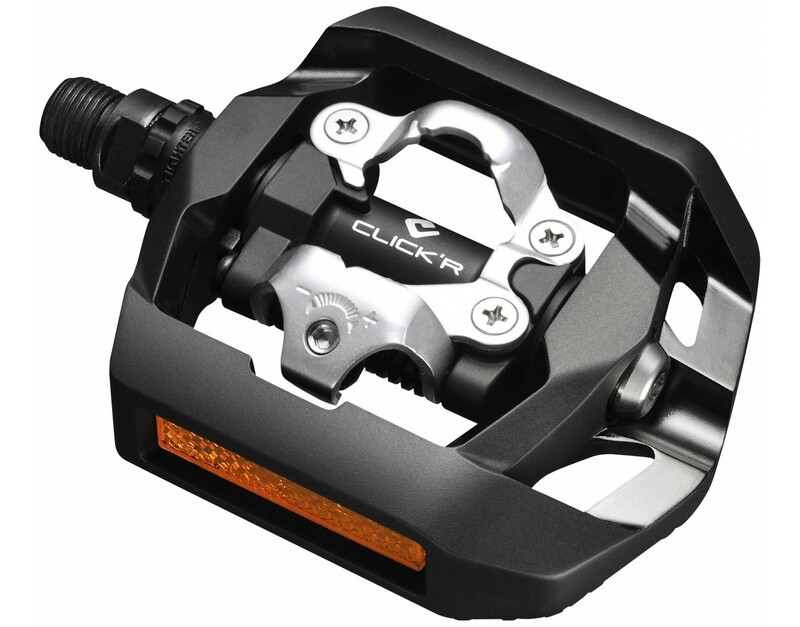 Your local bike shop is a valuable source of advice and information on clipless pedals. 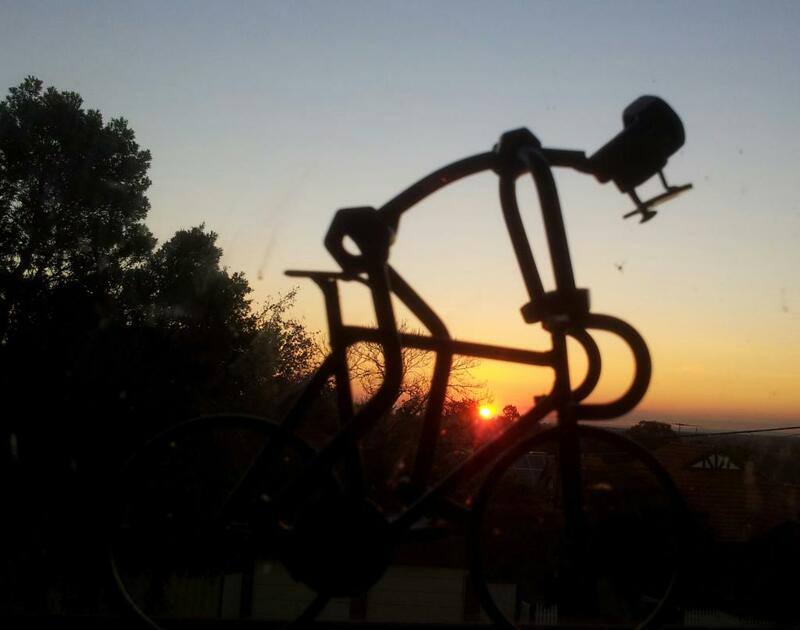 Shimano dealers are all listed at the website of importer Madison Cycles. What shoes you should get to go with your pedals is a whole other article, but suitable shoes start from about £30. Check out the selections at Chain Reaction, Wiggle and Amazon. In case you're wondering why they're called clipless pedals, it's because pedals used to have metal cages, called toe clips, and leather straps to hold the show in place. Racing shoes had cleats that were slotted to fit the cage of the pedal. To get out, you had to loosen the strap. Falling over at traffic lights behind a busload of schoolkids was not unknown. Clipless pedals get their contradictory name because they don't have the metal clips of yore. These are indeed awesome: I still use 520 pedals with the SH56 cleats for my commute; I don't think they can be beaten for stop-start over mixed terrain. One of the other advantages of clipless pedals is that you can get more power out of your legs by being able to pull up on the pedal stroke in addition to pushing down however, this highlights the disadvantage of multi-release cleats since if you pulled up on these your foot would come out of the pedal. 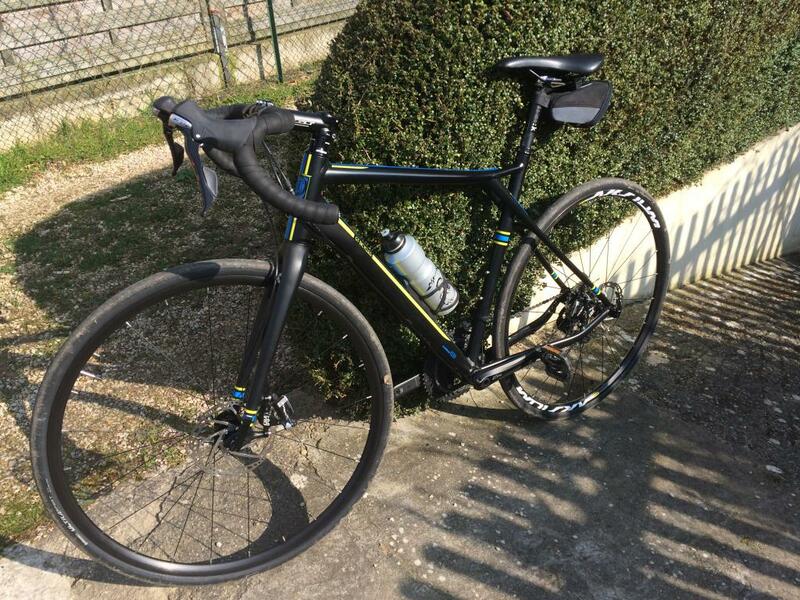 That's not my experience: when clean and in decent condition, I find they're solid even with quick or sturdy upstrokes on hills, and that they need a bit of a 'flick' to disengage, which suits me fine. I am using Shimano PD-T420 CLICK'R pedals on my road bike. Using my bike also for communting, I can easily pedal with my leather shoes for office on the flat side. Time ATAC or go home. I used Shimano SPD 520 clipless for years, but the hot spots on the ball of your foot they can create permanently damaged the nerves in my feet, causing a complete loss of feeling. I switched to 100 x 100 mm platform pedals and I now vastly prefer them for urban riding. Besides all the advantages of platfroms and avoiding hot spots and nerve damage, there is no more clipity-clop walking around in cafes and shops or on the train or the ferry. I can now ride in my Converse's if I want to. GCN tested this in the lab in a recent YouTube video and found that clipless did not increase power - they seemed a bit shocked that the common precept that clipless are better for power and efficiency could was not proven in testing. At 45, I recently started using cleats (having used old-style clips as a teenager) and have ended up with exactly the solution suggested here - double-sided pedals and multi-release cleats. Fabulous combo - works really well for me. Agree, I use these for all my riding and find involuntary unclips are exceedingly rare. They really are a cake and eat it solution, you get the advantages of clipless with no risk of getting it wrong and going splat. My understanding of current thinking is that you should not be trying to pull up (damaging to knees being the reason) only "getting your feet out of the way" during the up stroke. You should still be actively kicking forward at the top of the stroke and pulling your foot back at the bottom - these would be sensible reasons why a cleat would seem to be an advantage over flat pedals. Having said that good flat pedals with decent raised grips (the little bolt style ones especially) used with flat rubber-soled shoes are nearly as good for kicking forward and pulling back. I started on the multi-release clip and found them to be extremely good. Never had a false release and only swapped later on to Speedplay for a better float. The M424 pedals are excellent for commuting. Because you don't actually need to be clipped in to use them, you can simply stamp on the pedals as the lights go green and then clip in when you are up to speed. Eventually, you get so used to the action of clipping in that it becomes very quick, but even when you miss, you still can put pressure on through the pedals. The same cannot be said of my SPD-SL pedals on my road bike! Once you're in those, you don't want to have to put your feet down again unless absolutely necessary. Once there is a pedal power meter for SPD (mountain bike type) I am going back to that. I switched last year to PowerTap P1 pedals, which require Keo cleats and just used the old pedals in the winter, because I still have SPD winter boots. I don't notice any difference in power transfer with road pedals, but they are just more annoying to clip in / out and for walking. Having the same pedals on all type of bicycles is also an advantage. This does seem to be an advantage with this type of cleat, if it's in the right place most of the time you just set off pedalling and the clipping in happens automatically. No stomping required. 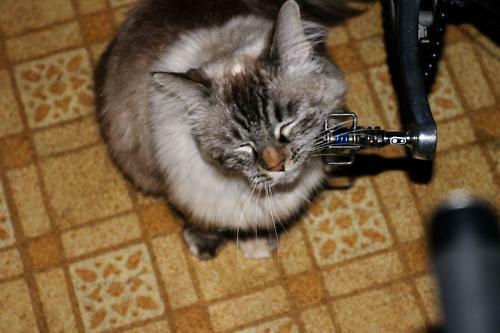 And those CLICK'R pedals have a lower spring tension, too. Great for a clipless beginner, and great for commuting. Or just buy a shoe from their RT range which are road shoes with smooth 'touring' soles. I have RT82s currently. They use the same last as my XC mtb shoes so it's an easy swap and I know I'm comfortable in either. Mavic, Specialized and I'm sure others do similar 'touring' shoes that look like road shoes, have a decently stiff sole but take MTB style SPD cleats. They are indeed the way to go. I use XT pedals for commuting on the crosser, Saints on my MTB and XT caged pedals on the Cervelo too (the latter does earn me some looks of disgust though)! They are a way to go. Except that is not the case at all. 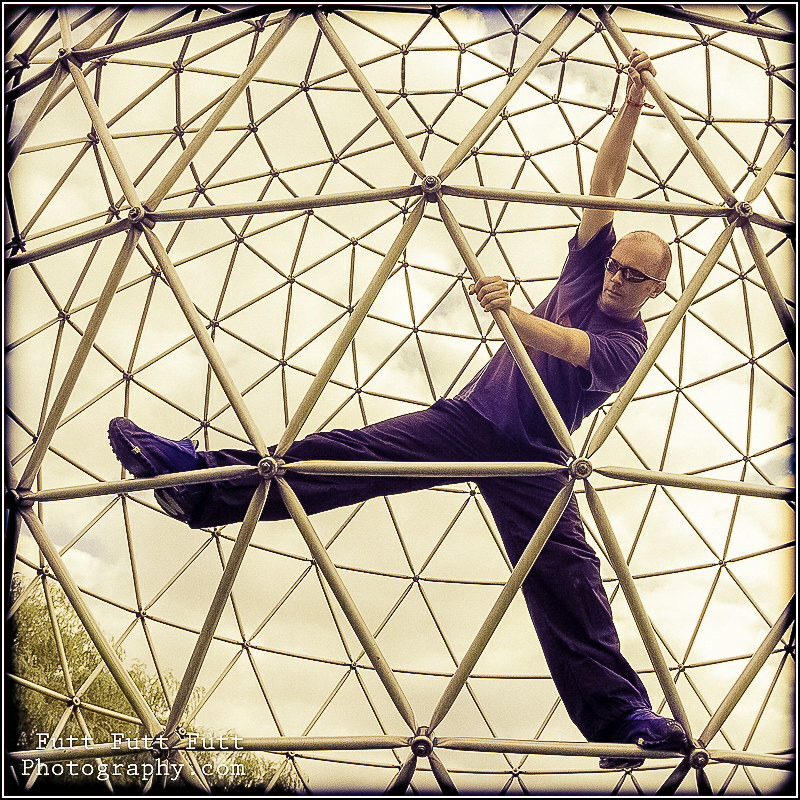 Multirelease alows you to release in multiple lateral directions, not if pulling upwards. I only ever use multirelease cleats and pull up on pedals all the time. Without coming out. No GCN did a video demonstrating some very bad science. Utter nonsense.